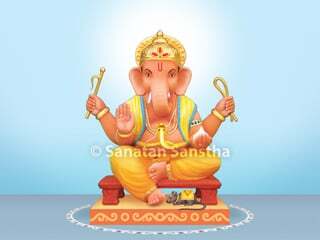 The paper mache Ganesh idol is not only spiritually detrimental, its use also is harmful, has been proven by P.I.P. and U.T.S. experiments. 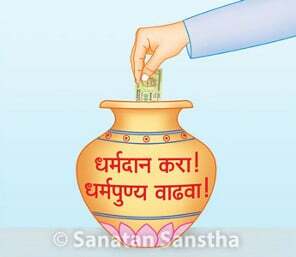 Research also proves that such idols are deleterious to the environment. 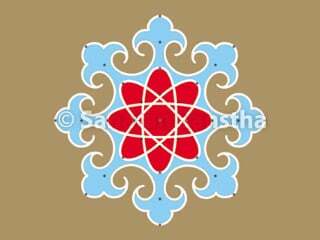 The benefit reaped by visiting Morgaon, place of pilgrimage, is eternal and one is never deprived of it. 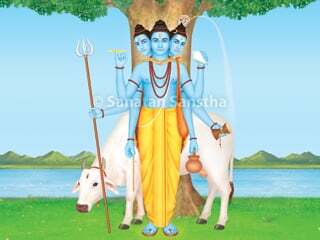 One who dies here will attain Moksha (Final Liberation) directly. 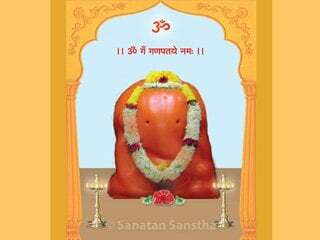 The Shri Ganesh Idol installed at Theur (Pune District) is also known as Chintamani. 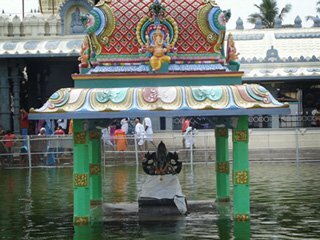 It is one of the famous places of pilgrimage from among the eight Vinayaks. 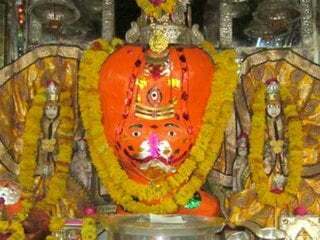 The famous Shri Chintamani temple at Shri Kshetra Kalamb village which is 23 kilometres from Yavatmal on the Yavatmal-Nagpur State Highway, is the seat of faith for lakhs of devotees. 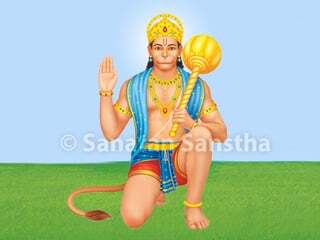 Let us understand more about this Shri Chintamani temple and its legends. 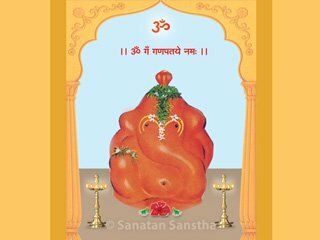 Ashtavinayaka yatra refers to a pilgrimage to the eight Hindu temples in Maharashtra state of India that house eight distinct idols of Ganesh, in a pre-ascertained sequence. 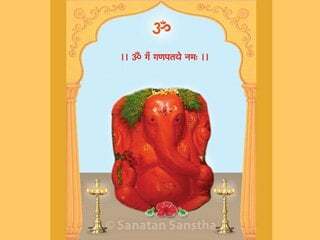 The Ashtavinayak yatra or pilgrimage covers the eight ancient holy temples of Ganesh which are situated around Pune. 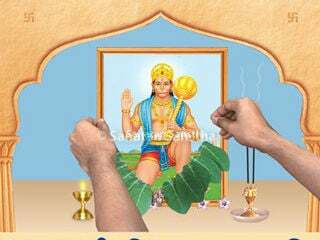 The Idols of Shri Vigneshwar, Shri Girijatmaj and Shri Varad Vinayak are self-materialized. 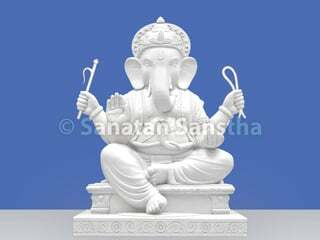 Divine Consciousness is greater in self-materialized Ganesh Idols than in sculpted ones. 11 th century a king belonging to the Chol dynasty built this temple.